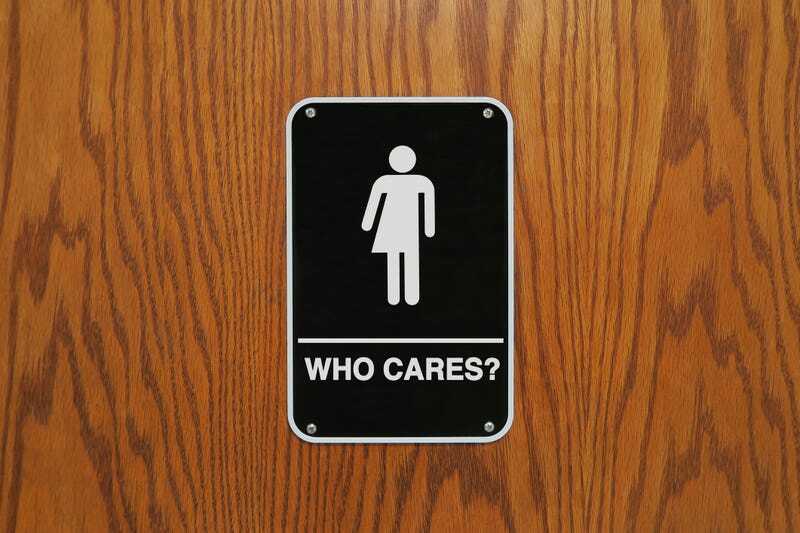 A group of high school boys in the town of North Pole, Ala., (yes, you read that correctly), apparently took offense to a transgender student’s use of their bathroom and decided to protest by crashing the girl’s room. That boneheaded oh-so-thoughtful decision got one of the boys kicked in the groin by a girl who was using the facilities at the time. Now, the girl has been expelled for using “violence” to resolve conflict. Her family, as well as a state lawmaker, is calling foul, saying girls should be allowed to defend themselves as they see fit when they feel threatened. And the school district has been pulled into a resultant conversation about its policy when it comes to its treatment of trans students and gender equity in general. Schools Superintendent Karen Gaborik is defending the schools’ handling of the incident, saying violence simply can’t be tolerated even if students believe they were defending themselves. But critics are taking aim at the district’s call in this case. And Alaska state Rep. Tammie Wilson, representing the North Pole, weighed in as well when, during an unrelated news conference Friday, she said the girl shouldn’t have been punished and that the district was sending the wrong message to girls. “If you ever feel threatened for your safety, whatever force you think you have to give, I will stand behind you,” Wilson said, the News-Miner reports.